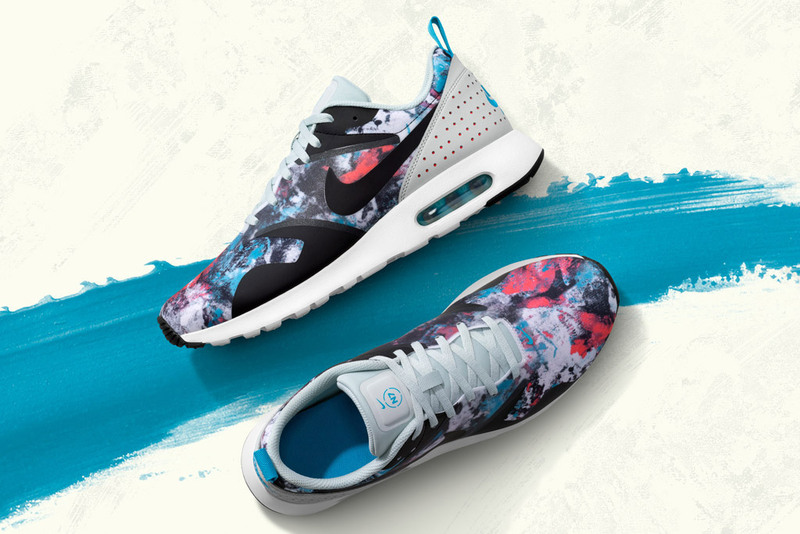 Native Fashion Now featured artist and Nike N7 designer Bunky Echo-Hawk will be joining the Museum on Saturday, August 13 for Miller Family Free Day. During this free event he will be creating one of his spectacular live art demonstrations. As one of the most influential contemporary Native American artists in the country, Echo-Hawk is under a lot of pressure. However, when watching him create stunning works of art in front of large audiences, he doesn’t seem phased. “I am a proactive artist,” Echo-Hawk explains in his artist statement. 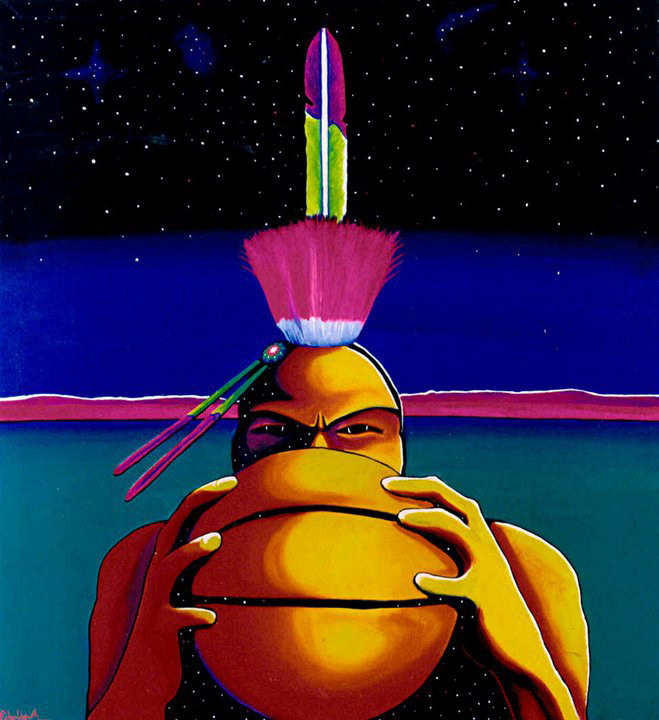 “There are a great number of issues facing Native Americans today, which I confront with my choice of weapons: paints, brushes, canvas, my mind and my culture.” His art acts as a vehicle for change, as many of his pieces are auctioned off to raise money for Native American nonprofits and businesses. Echo-Hawk’s massive portraits juxtapose pop culture with Native American history. In spite of the serious messages in many of his paintings, he also enjoys using humor to connect with his audience. For example, in his piece “If Yoda Was an Indian,” he dresses the famous Star Wars character in a traditional headdress. 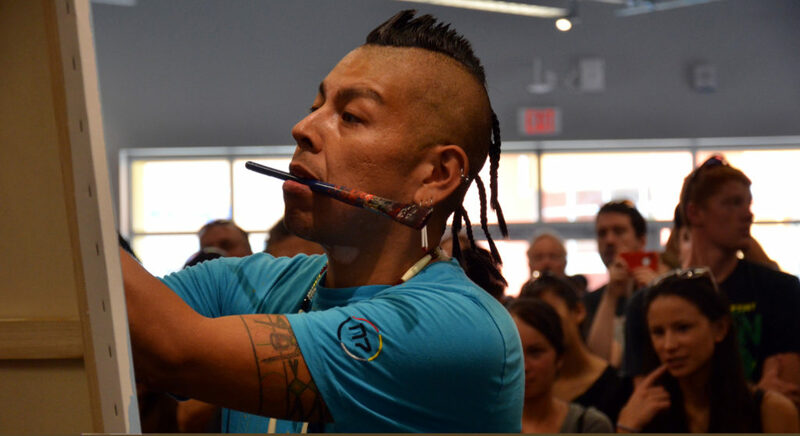 Through his art, he hopes to relate to, and connect with people from all backgrounds in order to educate them about Native culture. Echo-Hawk has a deep connection with his Native American roots and expresses this link in every work he creates. Join us August 13th for free admission to the Museum from 10 a.m. – 5 p.m. for Miller Family Free Day. Enjoy a live art performance from Echo-Hawk beginning at 1 p.m. and other activities throughout the day.